On Monday last, the insurance company FBD released its 2015 results. Chief executive Fiona Muldoon, who was drafted in to the firm following the departure of her predecessor Andrew Langford with "immediate effect" last July, unveiled a record pre-tax loss of almost €85m. There was even more bad news for the insurance sector on Wednesday, when the Court of Appeal ruled that the Motor Insurance Bureau of Ireland, which pays the cost of claims from accidents caused by uninsured drivers, would have to pick up the estimated €90m tab from claims left behind by Setanta Insurance. Setanta was a Maltese-registered insurance company which operated solely in the Irish market, largely targeting 'white van man', that went bust in 2014. The MIBI had unsuccessfully appealed last September's High Court ruling that it, and not the State-backed Insurance Compensation Fund, was liable for the cost of the Setanta debacle. In previous insurance company collapses, it was the Insurance Compensation Fund that ended up footing the bill. The Setanta ruling will add an estimated €50 to the cost of the average motor insurance policy. The extra cost of the Setanta ruling comes at a time when motor insurance premiums are already soaring, up by a massive 31pc in 2015 and a cumulative 47pc over the past two years. While the 2015 data won't be available until later this year, Central Bank figures show that motor insurers recorded a combined underwriting loss - that is, before investment income - of €198m in 2014. Even when investment income is added back, the combined loss fell to 'only' €122m. The insurers recorded a combined 2014 underwriting loss of €60m on their liability business, also known as 'slips and trips', and a profit of just €13.4m after investment income is included. Even more worrying for the insurance companies are the losses being recorded in their traditionally profitable property business. In 2014, the insurers recorded combined underwriting losses of €47m on their property business and a loss of €25.6m after investment income was taken into account. Why has property insurance, traditionally money for old rope for the insurers, turned sour? Look at the weather. As our climate changes, we are experiencing more frequent floods and storms and, when these events do occur, they tend to be more severe. Figures compiled by Insurance Ireland show that insurers have paid out a total of €1.46bn in claims on storm- and flood-related claims over the past 15 years. The January 2010 freeze cost insurers a total of €297m; the November 2009 flood €244m; the December 2010 freeze €224m; and the February 2014 storm €211m. About the only relatively 'good' news about the most recent floods is that, unlike those of November 2009, the November 2015 floods occurred largely in lightly populated rural areas, rather than in densely populated urban areas, such as Cork city centre. While the insurers haven't totted up the total costs yet, Michael Horan, non-life insurance manager with Insurance Ireland, reckons the eventual cost will be in the tens rather than hundreds of millions of euro. With its large agricultural book, FBD was hit disproportionately hard by last year's inclement weather as its preliminary results announcement revealed that the company had set aside €11.4m to cover the costs of weather-related events in the final quarter. So why has motor insurance become a bloodbath, with mounting losses for insurers and soaring premiums for motorists? The establishment of the Injuries Board in 2004 led to a halving in motor insurance premiums. However, the legal establishment has never been reconciled to this reform and there have been clear signs of backsliding in recent years. Irish personal injuries awards remain among the highest in Europe, with the average Irish whiplash claim settling for €15,000 as against just £4,000 (€5,200) in the UK. We have also, despite the recommendations of the Troika, done nothing to curb legal costs, which constitute 60pc of insurers' claims costs. Recent changes to the courts system have made a bad situation even worse. In February 2014, the District Court's claims limit was lifted from €6,400 to €15,000, while the Circuit Court's claim limit for personal injuries was raised from €38,000 to €60,000. As Mr Horan observes, these increased limits have "led to heightened expectations among claimants". Just for good measure, there is also evidence that the courts are being more flaithiul when making awards, with the average High Court award up 34pc and the average Circuit Court award jumping by 14pc in 2014. Expect further increases in average 2015 awards when the figures become available later this year. The impact of these changes to the courts system has been compounded by a number of recent court judgements. In December 2014, citing lower interest rates, the High Court reduced the discount rate, which it uses when making awards, from the previous 3pc to between 1pc and 1.5pc. This ruling, which was upheld by the Court of Appeal last year, has the potential to double the payouts to claimants who have suffered catastrophic injuries requiring lifetime care. Matters haven't been helped by the fact that the Injuries Board hasn't updated its book of quantum - basically the monetary value it puts on each injury - since shortly after its establishment a dozen years ago. While a new book of quantum is expected shortly, it is coming desperately late in the day. But it is the MIBI judgement that has most irked the insurance industry. "This ruling has far-reaching implications. Liquidation now becomes a viable option for imprudent insurers. Every insurer, no matter how prudent, will now have to effectively underwrite imprudent insurers," says Mr Horan, who says that an appeal to the Supreme Court is "being considered". So, after more than a decade, has the legal profession finally succeeded in nobbling the Injuries Board - after all, it was the Law Society, the body which represents solicitors, that brought the MIBI case? When we put this question to Ms Muldoon she replied: "Yes, one could argue that." 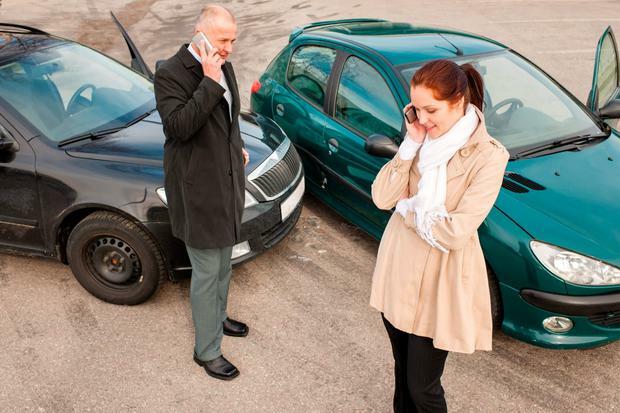 So what can be done to stem the flood of losses in motor insurance? Further increases in premiums are probably inevitable. However, higher prices won't solve the problem on their own. Insurance Ireland has been lobbying for a change in the law to ensure that the cost of future insurance company failures falls on the Insurance Compensation Fund, rather than the MIBI, says Mr Horan. However, serious and all as are the problems of motor insurance, are those facing property even more severe? Has climate change rendered large areas of the country effectively uninsurable - a potentially existential threat to the insurance sector? That's not how Mr Horan sees the situation. "Insurance companies expect a certain amount of bad weather and factor this into their pricing. Some 98pc of Irish property policies have flood cover, compared to less than 50pc in most mainland European countries". But what about allegations made in the aftermath of last year's floods that many insurers were refusing flood cover to policyholders, even where flood defences had been installed? While acknowledging that some companies have a "more conservative risk appetite" than others, Mr Horan points out that a survey conducted by Insurance Ireland found that, in locations where fixed flood defences had been built, 89pc of policies had flood cover. "Where cover is not available, we would encourage the Government to invest in fixed flood defences", he says. "Insurance covers risks, not inevitable events." Despite this tale of woe, both Ms Muldoon and Mr Horan remain optimistic about the future prospects for property insurance. Unlike motor, where, on a value-weighted basis, it takes three-and-a-half years for a claim to be settled, most property claims are settled within six to nine months. This means that insurers know the cost of even the most severe weather event within at most a few months. As a result, property insurance is much less vulnerable than motor to assault by new, cut-price entrants who are under-pricing future claims costs. "The insurance industry is resilient. We have been able to protect policyholders," says Mr Horan. At their root, the problems of the insurance sector are as much societal as financial. Unfortunately, there is no such thing as "free money". The cost of Irish claimants' very high expectations has to be paid for somehow. "You can either have cheap insurance or very generous court awards - but you can't have both", says Ms Muldoon.